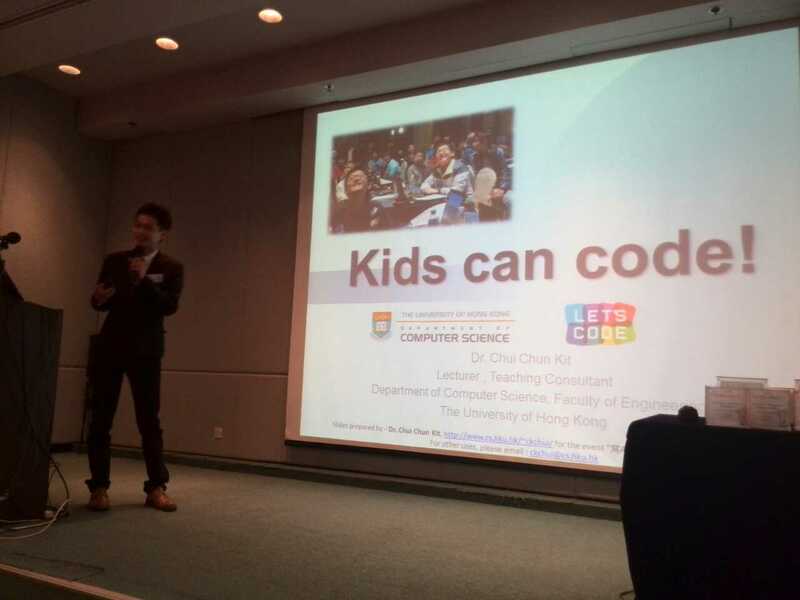 Dr. Chun-Kit Chui was invited to present a talk on "Kids Can Code" at an event named "寫Apps編程：ICT教學新潮流" organized by eLearning Consortium for school principals and IT teachers of primary and secondary schools in Hong Kong on May 17, 2014 at the HK Productivity Council. Besides explaining how kids can code, Dr. Chui also introduced to the audience the importance of coding, coding training in tertiary education, global trend in kids coding, and tools available. Dr. Chui was also invited to present a talk on 3D printing technology and to participate in the panel discussion on IT education at the HK IT Festival held in April 2014 at the Cyberport.